After 20 years in private practice as a commercial and business litigator, in August 2016 Laura Varela became the Private Sector Career Counselor at St. Thomas University School of Law. She advises students and alumni on all private sector career opportunities and judicial clerkships. Ms. Varela also assists alumni in transitioning into lateral or vertical career moves. A proud Gator, Ms. Varela received both her J.D. and undergraduate degrees from the University of Florida. 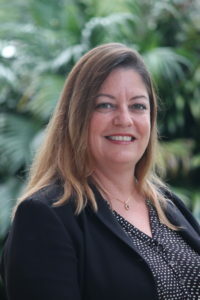 She is active in several local voluntary bar associations, including the Broward County Bar Association (BCBA), Broward County Women’s Lawyers Association (BCWLA), and is a longtime member of the Stephen R. Booher American Inn of Court. Ms. Varela is admitted to practice in Florida, all federal courts in Florida and several federal courts throughout the country, including the United States Court of Appeals for the Eleventh Circuit.